Once you’ve picked a date and event venue for your event in Dallas, it’s time to focus on finding the perfect rental company! If you aren’t an experienced event planner – making this type of decision can be intimidating! The Party Resource, a turn-key event services and event rental company know exactly what to consider when you’re planning an event – we’ve created a guide to choosing the best event rental company for your event in Dallas! The majority of venues have a preferred vendor list; this is a great place to start! Your venue has likely had a good experience with these event rental companies before and trust that they will do a great job at your event! However, it is still important to consult other sites like Google, Facebook and Yelp before you make a final decision. Read about or attended another event you want to emulate? Ask which event rental company they used – these first-person references are SO valuable! Does delivery include set up? Will they work with your venue to schedule a pickup time? These are extremely important questions to ask your potential rental companies to save you time and to make sure you have everything you need (exactly where you need it) on the day of your event! Not all event rental companies are the same. There will be different items available for your use at each company. Some event rental companies even specialize in a certain type or style of décor! Ask for their catalog – this will help you determine if their event rentals will create the look and ambiance you desire at your event! What other services do they offer? 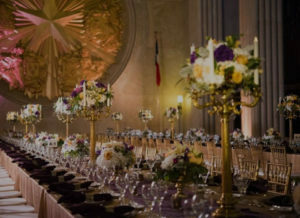 There are a few event rental companies in Dallas (like The Party Resource) that can provide you with turn-key event services as well as rentals! They can help you find a venue, book a caterer, book entertainment, valet, coat check, etc. – if you need it at your event, they can make it happen! These types of event services create a one-stop-shop for your entire event! You can gather a lot of information about what it will be like to work with a company by how they present themselves! What does their website/social media say and look like? 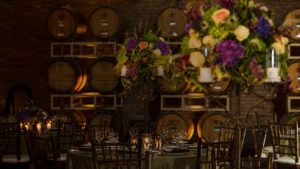 Check out the galleries on their website – these showcase an event rental companies best and most beautiful work. If you visit their office/warehouse, make note of how employees present themselves – these are the hardworking people that will be at your event! Asking an event rental company what their sanitation policies are isn’t crazy – they will be glad to share that information with you! It’s good to know how they clean the items that will be used at your event. Cleaning isn’t just a sanitary act it shows that they take pride in what they do and gives you peace of mind that they will provide you with quality equipment at your event. What, if any additional charges will you need to pay? One of the most common fees is for a damage waiver. A damage waiver is usually optional. If you choose to purchase it, they usually cover rental items that are damaged through normal use (ex. Broken glassware and China). Other common fees include fuel charges and labor costs. Event insurance is one of the most important things to consider when choosing an event rental company! Every rental company should have event insurance. Make sure that their policy will cover their work and their staff on the day of your event. No one ever expects that they will have cancel their event but – sometimes the unexpected happens. Just in case, make sure you fully understand your rental company’s cancellation policy. Taking these extra steps during the process of picking out your rental company can really make or break your event. Event rentals and decorations will cause your event to stand out, so pick an event rental company that stands out to you!